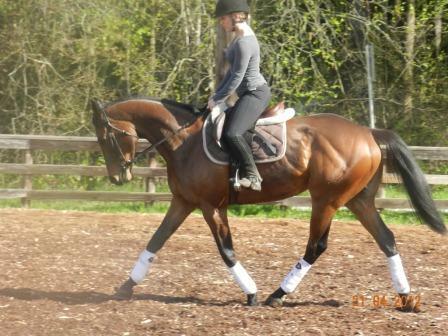 Regal Spice (Spice) - ADOPTED! Regal Spice has been ADOPTED! 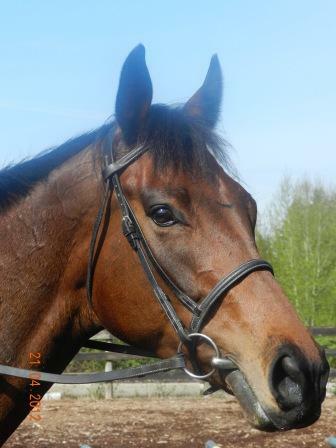 Spice is a sweet and clever mare who loves attention. She is a good looking girl with lots of energy and stamina. 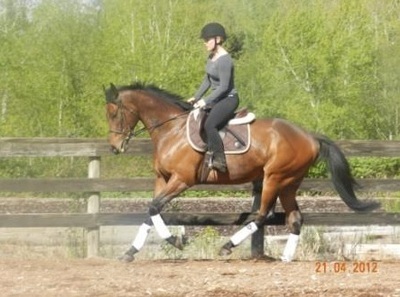 Spice has both of her canter leads down pat and has started some lateral work, which she is quite good at. She has the build and potential for higher level collected movements in the future. 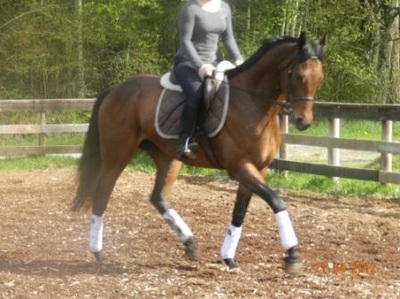 She also has lovely smooth gaits. Spice is smart and very quick to learn new things. We have recently started to clicker train her so that she has a foundation for learning even more new skills. Already she can touch a target with her nose, kick a ball, and put a foot up on a box. She is very helpful at the gate and will push it open or closed with her nose on command. Spice will ground tie while being groomed and tacked up. She loves being groomed as well as cuddled, hugged and scratched. This is a lovely mare for someone experienced who enjoys spending time with their horse and teaching them new things.